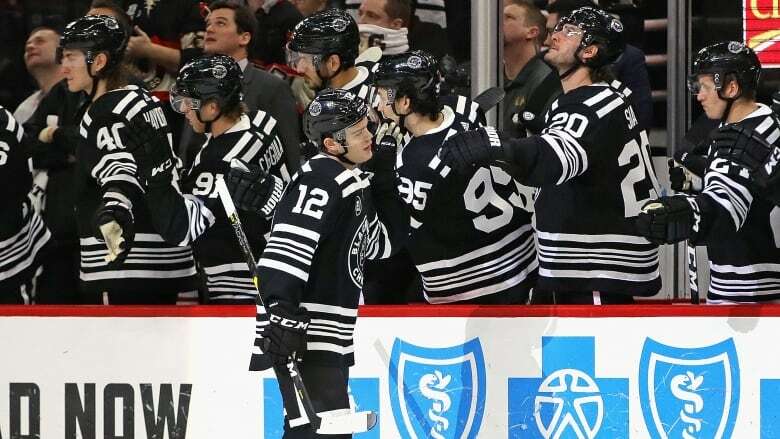 Alex DeBrincat had three goals and two assists, and the Chicago Blackhawks held on to beat the Ottawa Senators 8-7 on Monday night for their ninth win in 11 games. "I didn't particularly enjoy it back there [behind the bench]," Colliton said. "It wasn't pretty defensively. ... The good news is we won when we maybe didn't have our best effort. We found a way."